This is an excellent opportunity to purchase TOPEC Shoring / SYMONS DeckFast panelized deck formwork materials, at a GREAT price in VERY GOOD condition. Please reach our sales department to discuss further. We specialize in used aluminum soffit formwork systems like TOPEC & DeckFast. 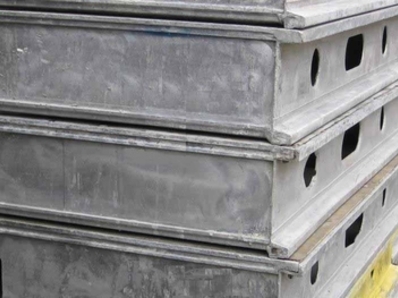 SYMONS DeckFast is a modular slab formwork system that is used for commercial and industrial applications. The system will support slabs up to 22" and heights up to 19' above the floor or ground (see capacities chart, page 7). The basic SYMONS DeckFast system consists of tubular post shores that are adjustable to 18', bearing supports and modular forming panels. The uniqueness of this system lies with bearing supports that capture and support corner clusters of four panels. 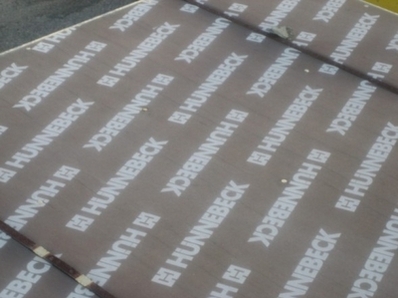 When the bearing supports are fastened to flat top post shores, the panels and post shores can be erected individually from below, simplifying the erection process. The easy-to-use SYMONS DeckFast system, with two basic components and two support rods, can be erected with a minimal amount of training. Even workers who are not familiar with the system can achieve efficiencies of an average of 1000 ft2 per worker per day for most flat slab conditions. Even infill sections can be easily formed and economically installed using SYMONS DeckFast components. Forming panels are made from 5-ply bonded veneers with 10 mm or 10.5 mm plywood. Edges are protected by specially designed aluminum framing members that not only minimize the gap between panels but also add to panel strength. SYMONS DeckFast Aluminum frames minimize maintenance cleaning efforts and reduce cleanup costs. TOPEC Shoring allowes the use of large repetitive form panels, it is most economical to use the TOPEC panel 180/180. The TOPEC Shoring Bearings are mounted centric underneath the panel joint. At wall junctions the TOPEC Shoring floor panels are pushed over the TOPEC Shoring Bearing close to the wall. The TOPEC Shoring panel level is stabilized by the surrounding walls. The majority of the slab area can be formed with the basic panels of the TOPEC system. Adjustment areas of 55 - 90 cm width can be formed with the TOPEC Adjustment panels 90/180. Smaller adjustment areas can be formed with the TOPEC adjustment beam or the TOPEC Head support shoe and square timbers and adequate plywood by contractor.